Utilities continue to focus on field operations as a means to drive reliability, efficiency and improved customer satisfaction for their business. Managing the increasingly complex network of assets requires utilities to reduce cycle times and break down barriers between the office and the field. GE’s Mobile Enterprise Suite offers the latest advancements in mobile technology and application for uniform data access and field automation across the enterprise. This suite of solutions extends critical back office functions to the field, enabling office and field personnel to visualize and share network data and work tasks in real-time, agnostic of the mobile device or operating system in use. 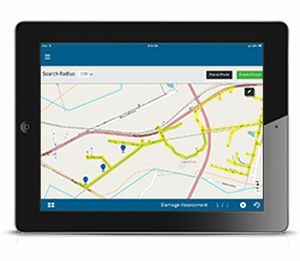 With our unique collective knowledge of software development, equipment manufacturing, and deep domain expertise in the utility and telecommunications industries, GE’s mobile applications are specifically designed to maximize enterprise efficiencies with tools that are easy to deploy, use, and manage.